Clip-on Compass | BUDK.com - Knives & Swords At The Lowest Prices! Sorry to have to write negitive write up. But I Bought alot of these last Christmas as stocking stuffers for friends and my employees. But only 1/2 really worked right. So you get what you pay for. If I only bought one and was lost this would really get you more lost. Some point North or to N.W some were to South east or South West. And they were all lined up in a row. It's Accurate. Very Freaking accurate. Not to mention it's not a cheap plastic material you can clip it on anything and it'll probably last longer than what you attached it to, I put it on my Zombie apocalypse bag i got from here as a Christmas gift. Very nice Price at that. A great little companion to clip on your backpack! 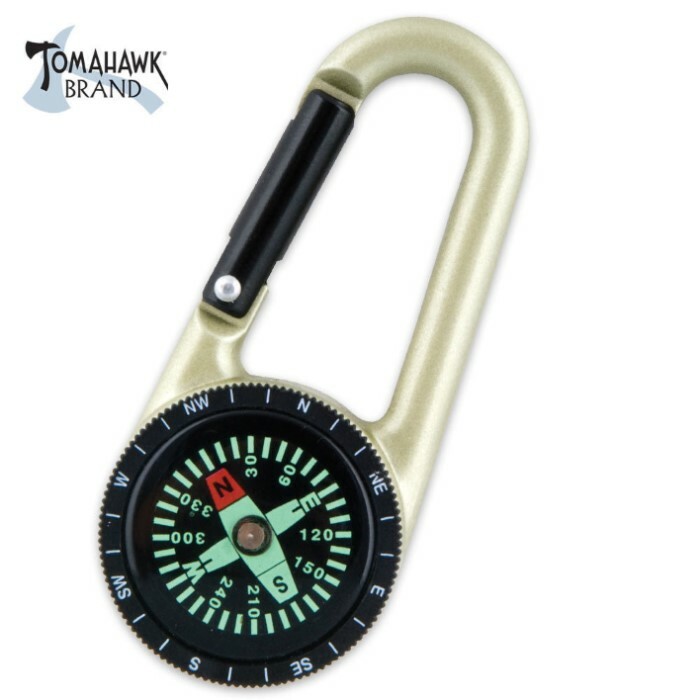 This is a good little compass, works just fine. the only problem I had was that it wasn't black like pictuerd, most of it was a matte gold tone. would have given it 5 stars if it was as pictured.